While they didn’t seal a long-awaited peace agreement, the leaders of North and South Korea on Friday signed a landmark declaration vowing the halt of hostile acts, denuclearization, and a push for joint talks with US and China. 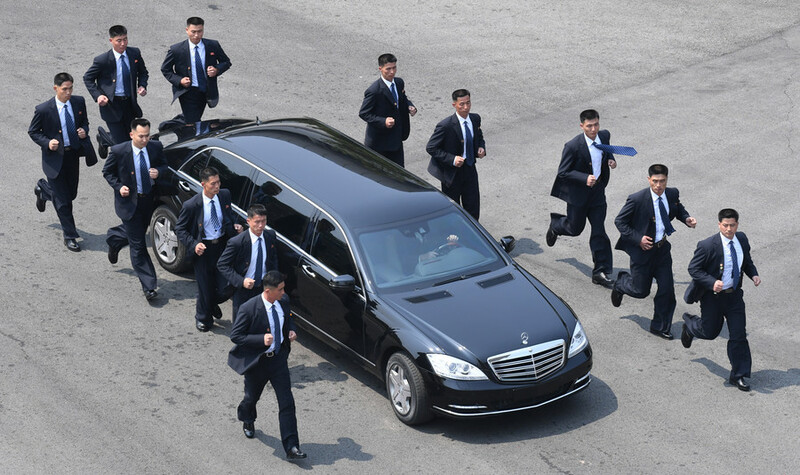 In the early hours of Friday, Kim Jong-un became the first North Korean leader to visit the South in 65 years. The leader was all smiles when he met South Korean President Moon Jae-in, and the two men were even pictured holding hands. Yet, the outcome of the meeting has been both hailed as a landmark achievement and criticized by some Western countries for lacking a detailed roadmap. 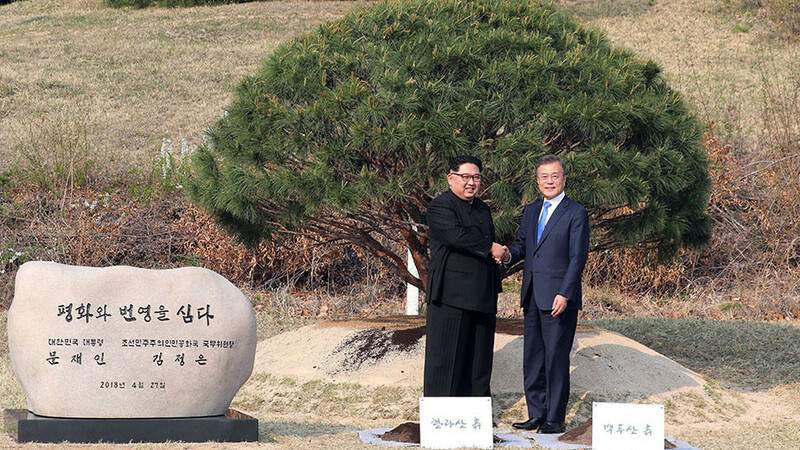 Here is what the two Korean leaders have actually agreed on as they made history in the demilitarized zone. In a move which would have seemed impossible – or at least highly unlikely – just months ago, North Korean leader Kim Jong-un and South Korean President Moon Jae-in have confirmed their goal of complete denuclearization of the Korean peninsula. “South and North Korea affirmed their shared objective of achieving a nuclear-free Korean peninsula through complete denuclearization,” reads the declaration signed by the leaders of the two countries, as quoted by Yonhap. “There will be no more war on the Korean peninsula, and a new age of peace has opened,” the document reads. 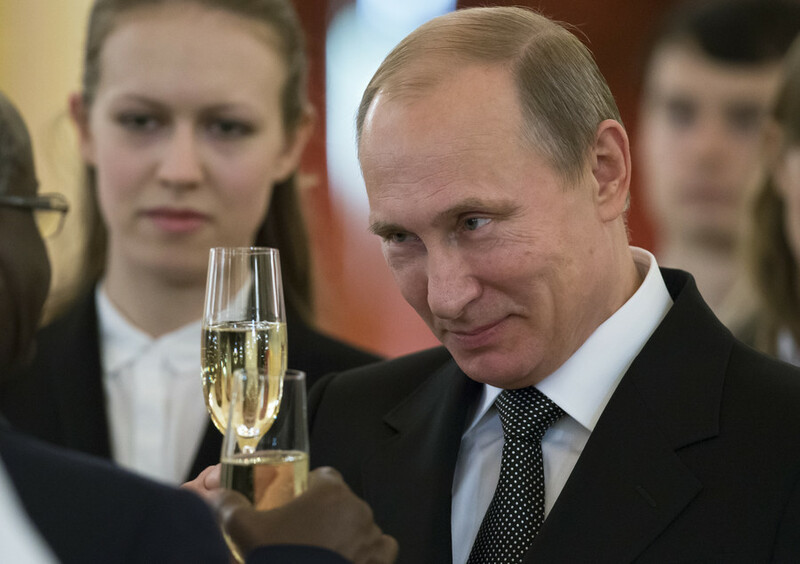 It does not list specific measures on how the peninsula will be rid of nuclear weapons. However, North Korea has previously used the term “denuclearization” to say it can disarm only when the US withdraws its 28,500 troops from South Korea. Kim and Moon have agreed to stop all hostile acts over “land, sea, and air,” which can lead to military tensions and clashes. Beginning on May 1, all the loudspeaker propaganda the two countries have been blaring at each other will be suspended. Broadcasting equipment will also be dismantled. 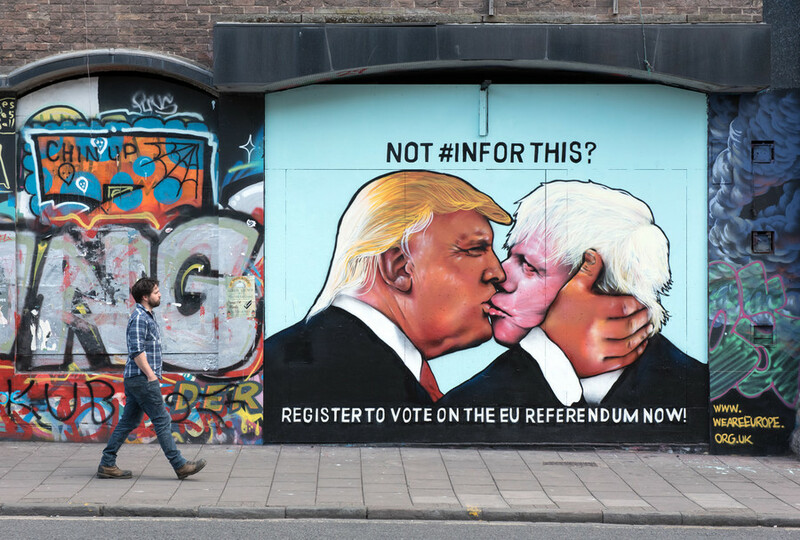 In addition, the two sides have agreed to stop flying propaganda leaflets across the border. They also agreed to take steps to defuse somewhat frequent clashes around their western maritime border by designating the area as a “peace zone.” Safe operation of fishermen from both countries will also be guaranteed. The two sides plan to hold military talks next month to further discuss reducing tensions. 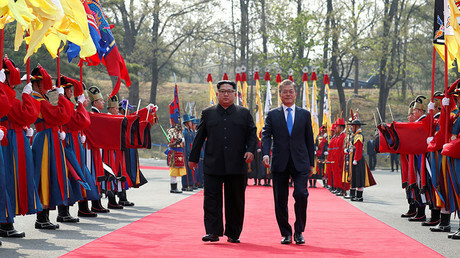 The two Koreas also said that they will push for joint talks with the US and potentially with China to officially end the 1950-53 Korean War. The conflict ended in an armistice, leaving the two sides still officially at war. The talks, which will either be three-way with Washington or four-way with Washington and Beijing, would involve converting the armistice into a peace treaty and establishing permanent peace on the peninsula. Pyongyang and Seoul said they hope the parties will be able to declare an official end to the war by the end of the year. Such a milestone would only be possible with the involvement of the US and other parties that fought in the war, as South Korea wasn’t a direct signatory to the armistice that ended the fighting. 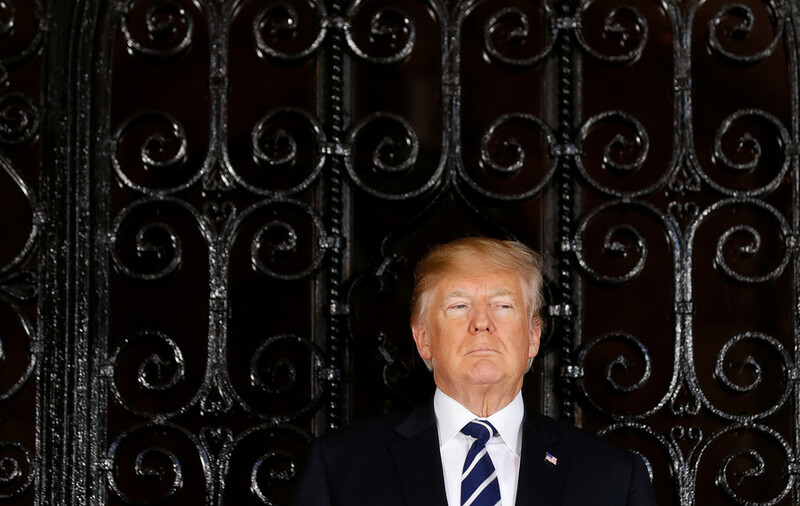 US President Donald Trump, for his part, has given his “blessing” for the two sides to discuss an end to the war. The two sides have agreed to open a permanent communication office in the North Korean town of Kaesong and resume temporary reunions between relatives separated by the Korean War. The reunions are expected to take place around August 15, an anniversary for both Koreas celebrating the peninsula's liberation from Japanese colonial rule after the end of World War Two. 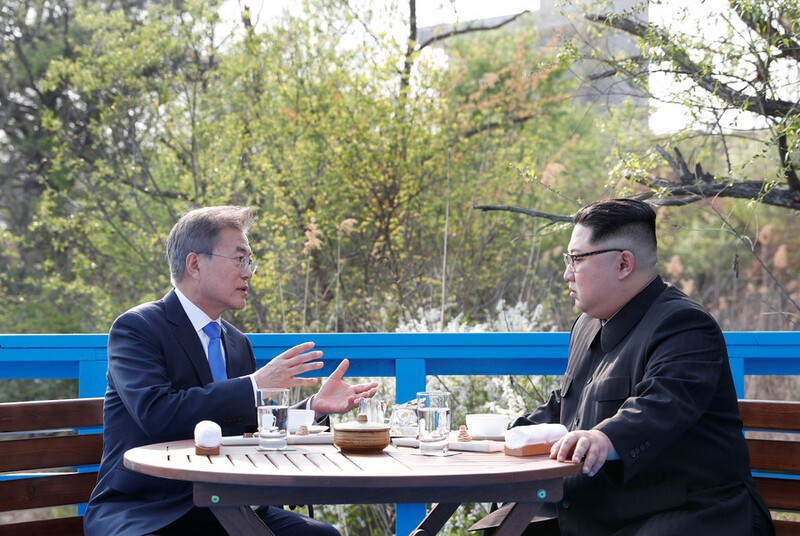 In addition, the two leaders said that Pyongyang and Seoul will aim to expand civilian exchanges and pursue joint sports and cultural events. That agreement comes after the two sides competed in the PyeongChang Winter Olympics under a unified flag in a landmark move. Kim and Moon have also agreed that the South Korean leader will visit Pyongyang sometime this autumn. In addition, the two leaders will meet on a regular basis and hold phone calls via a recently established hotline. Pyongyang and Seoul plan on holding high-level talks and other negotiations in order to carry out the agreements made at the historic summit.